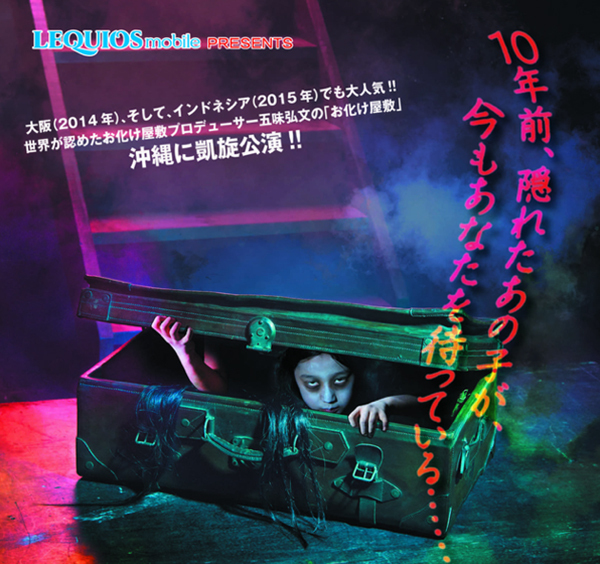 Another scary masterpiece conceived by Hirofumi Gomi, the famous producer of haunted houses, is coming to Okinawa. In this particular creation, visitors must find a missing girl as they make their way through the haunted house. *Children of elementary school age or under must be accompanied by a guardian.